CAN A RESIDENCE BE OBTAINED WITH PREVIOUS ARREST? HomeBlogNewsCAN A RESIDENCE BE OBTAINED WITH PREVIOUS ARREST? Helena arrives in the U.S with a tourist visa and wants to find somewhere to work. A friend suggests buying a social security number along with a permanent residence card in order to work for a factory. The friend then buys all of the documents and gives it to Helena to use and she begins working in a factory with the bought documents. One day while at work, immigration officers (ICE) arrive at the factory and asks everyone to provide their identification and Helena becomes very scared and responds to the officer that she does not have identification. Helena and the multiple additional workers who do not have legal documents are arrested. While she is detained, she provides the officers with her real name, date of birth and country of origin. ICE decides to let her leave with bail but when they are making an inventory of her belongings to leave, they find the false documents. ICE charged her with fraudulent document fraud despite her ability to leave the detention center. She later changes her address and never knows about immigration or ICE again. Helena goes on with her life and gets married and has a daughter born in the USA. 21 years later, her citizen daughter wants to help her get a permanent residency status. They go to the office of a notary who completes all of the necessary documentation to apply for residence and after some time they are assigned their interview date. 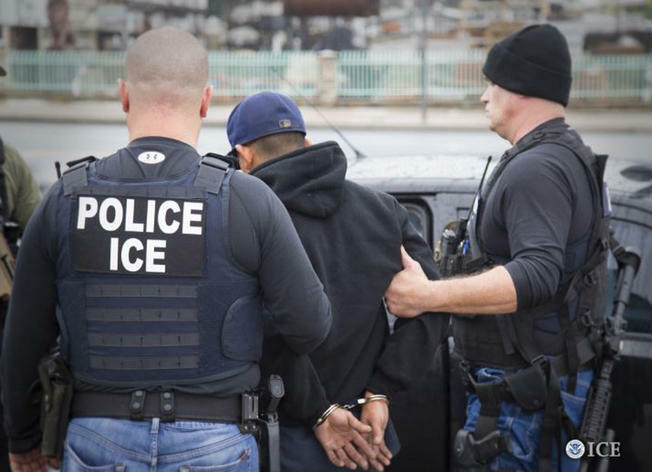 When she arrives for the interview, the officer informs them that Helena has a deportation order in absentia because she did not appear before an immigration judge and is charged with fraud for having used a false permanent residence card and social security. They deny her residency and arrest her right in the officer’s office. The family is terrified and they come to see us going through a mix of emotions of shock and sadness as Helena has always been a super person dedicated to her family and she has always worked and she never imagined that this arrest would have such consequences. At that time when Helena was arrested while working at the factor, the U.S was a very different country. After the attack on the twin towers (World Trade Center), prosecutors and police had instructions to arrest, make maximum charges (felonies) to that person who is in possession of false documents, buying a fake green card and/or work permit, and the most common crime when they arrested a person with false documents was: FRAUD. Can we help Helena and her family to get her out of prison and get her residency status? YES! The key is to be able to obtain a waiver for this action committed by her in the past and analyze and determine if there is a waiver for having used a false document. Helena will have to try several things but also have an immediate family member who qualifies for that forgiveness. Fortunately, Helena’s husband is a permanent resident and we were able to show that the husband would suffer a lot if Helena is deported. This is a very meticulous job that only an expert in the field can help you solve. Not every law practitioner has the experience to deal with this kind of problem. The guidelines for applying for a Green Card through a family petition (Adjustment of Status) are very specific and there are very specific reasons why this request can be denied and even end in deportation. Commuting a crime of moral turpitude, FRAUD may be one of them. There isn’t always a malicious intent but, there must be special attention when a person is found guilty of a crime. Having several Aliases or buying a false document can hinder the Adjustment of Status if the person does not have the appropriate knowledge. But, can you still continue with your application? It depends on the circumstances and if you have family members who qualify. Obtaining a waiver is not easy or a question of filling out some forms. You need to have your complete record evaluated in order to discover if you qualify for a waiver. This is a very meticulous work that only an expert in the field can help you solve, if you are in this situation, call us, we will analyze your case and we will provide you with personalized advice; our phone 718-505-8506 or in our Contact Form. In the Office of Mercedes Cano, we are here to help you.